For the record, I’m fine with Christmas decorations being out in the stores right after Halloween. I have no problem with steamrolling over Thanksgiving, the day we commemorate our gracious ability to have a civil dinner with people we’ll later dispossess and turn into alcoholics. 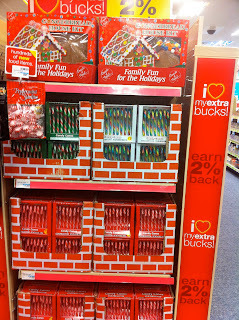 But I was in CVS on Tuesday this week – that would be Oct. 5 – and saw these candy canes on display. Christmas is now leap-frogging over not just Thanksgiving but three solid months. Leave it to the large drug chains to make me miss the purple-chartreuse-orange-and-black hot mess that is commercial Halloween. 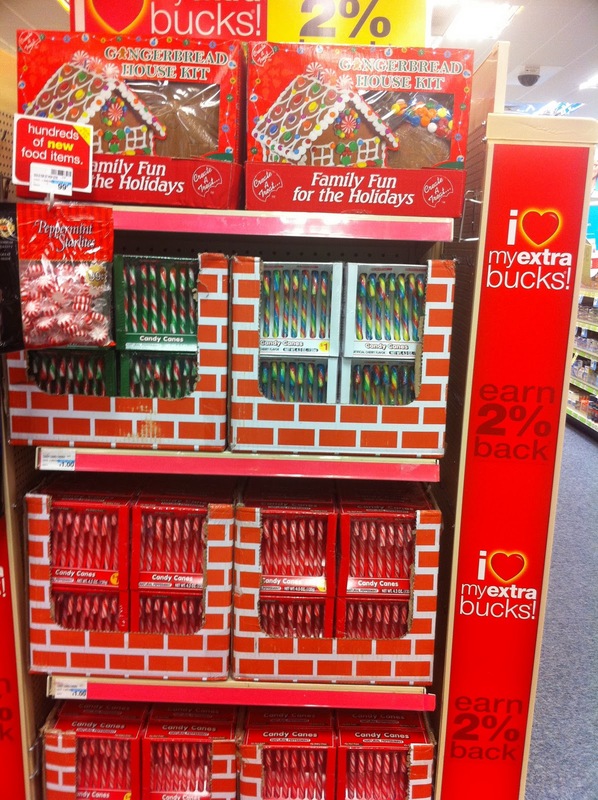 But come on, CVS, what’s with the candy canes in early October? If they’re selling them on Oct. 5, when are they making them? And what are they made of that they can sit in the factory, then the warehouse, then the storeroom, in the back of a truck, the CVS back room, and then the shelf for three months and not taste like the bottoms of your feet? I decided to do an investigative report on candy canes, which means I watched an online video from the Discovery Channel called How It’s Made – Candy Canes. I had forgotten how much I love to watch how things are made. When my kids were little, some of my best days were when Mr. Rogers would do a manufacturing segment and show how everyday things like teddy bears and No. 2 pencils are made. As an adult I never pass up the chance to tour a factory. I’ve watched the making of bourbon, cheese, cardboard, apple cider, Jelly Bellys, glass, money, pewter knick-knacks, maple syrup and Toyotas. I always regretted not going to the Crayola factory when we lived in New Jersey, although I heard it was “too touristy” and you really didn’t get to see the actual crayons being made. I’m pretty sure I saw how Hershey’s chocolate was made back before the same thing happened to Hershey Town or whatever they’re calling that chocolatized Disneyland now. I was very young and don’t remember anything about the trip other than wetting my pants in the back seat of the Pishkur’s Fairlane. And the kiss-shaped streetlights. The video answers my question about how they can have such a long shelf life: They’re made from sugar, water, corn syrup, starch and flavoring. They’ll last longer than some of your more delicate Christmas ornaments, which are sure to hit your neighborhood CVS any day now. And the Winner of the Longest Receipt Contest Is . . .
Stores have gone survey prize crazy. Is it me? Don’t I recall receipts being way shorter and retail stores not giving two hoots about what my opinion was? Apparently now every store from Abercrombie to Zara is dying to know how my shopping experience has gone. For filling out a survey, I can win a chance at having a shot at getting some money and free stuff. CVS started rewarding their frequent buyer card customers with coupons on the receipt. The bulkiness was surprising and not in a good way. Then came the surveys and the incentive contests. They’ve taken over my receipts. Apparently stores are suddenly very interested in my opinion on my shopping experience. I never call the numbers and take the surveys. I am not one of the people in this world who is ever going to win that. It’s why I don’t play the lottery and never have. Somebody’s gonna win and it might be me? No, it won’t. Nor will I win the $1,000 from CVS or $2,000 from Winn Dixie. I won’t win the one bestseller a month for a year from Books A Million. Nor will I win the $200 gift card from Blockbuster, one of five $1,000 gift cards monthly from Walmart, 15 percent off my next online purchase from American Apparel, or the $100 gift card from Duane Reed. And I can most certainly say I won’t be winning the $5,000 gift card from Staples or Home Depot. And Best Buy . . . wow. In addition to three different codes (Groups A-C) for entering an online survey for which I could win a $5,000 Best Buy shopping spree! !, there are two different deadlines and age limits for different states. It would take me longer to understand the rules than to read the warranty for the camera bag that’s on the receipt. “Hey America!” Dunkin Donuts tells me at the bottom of my receipt. “Want a free donut when you purchase a medium or larger beverage? Go to TellDunkin.com within 3 days; tell us about your visit.” I might actually get that, since there doesn’t seem to be any chance or luck involved, but the whole idea of logging onto TellDunkin within 3 days is just too much pressure for a doughnut eater like myself. Not all companies are in the contest to see who can have the longest receipt. Nordstrom is cool as a cucumber with just this at the bottom of their receipt: “Thank you for Shopping at Nordstrom. Find us on Facebook. Follow us on Twitter.” It sounds like a dare. Nordstrom couldn’t care less about my opinion and it’s not giving away anything. And Walmart is the only store I know of that prints its receipts on both sides of the paper. I could buy 70 items at Walmart and get a receipt shorter than one CD at Best Buy. Walmart should be the only one allowed to run a contest on their receipts. I’d be interested to know if anyone has ever won anything from their receipt. If you have, please let me know. Does anyone even ever read the stuff on their receipts? 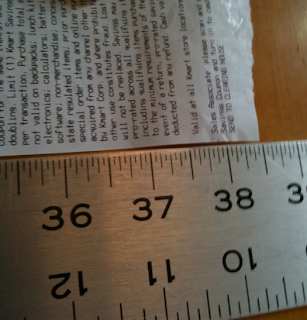 For me, I only have time to offer one opinion to these stores and it’s this: I hate when my receipt is really long.